The Reds are 7-7 when Scott Rolen plays this year. They’re 1-4 when he’s out. They were 27-13 in his games last year, after the trade. In the 20 games Rolen missed after joining the Reds, they were 6-14. So, in Rolen’s three months, the Reds are 30-24 (.556) with him, 7-25 (.213) without him. 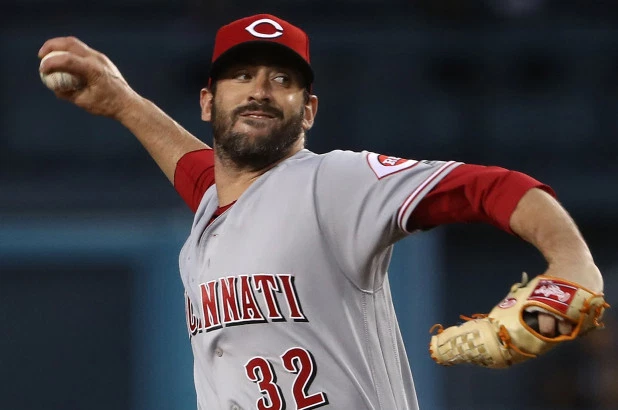 He’s played well, to be sure, but no player in history – not Babe Ruth, Ted Williams, or even Juan Castro makes the difference between a 90-win team and a 35-win team (the two records extrapolated to a full season). How many wins do the starters have this year, Marty? Superman wears a Scott Rolen uniform to bed. Scott Rolen doesn’t cut his grass.. he just dares it to grow. In checking out Rolen’s stats from this year, the average MLB player has 33% more runners on base when he steps up to the plate than does Rolen. Imagine if the bases were clogged up with runners how many RBIs he could have! Scott Rolen’s tears cure cancer. Too bad he never cries. This much I know, Rolen consistently gives better at-bats than Votto. You could make a strong argument for batting Rolen third against lefties. And while I’m on the subject of the batting order, it’s time to move Bruce up to fourth. @Sultan of Swaff: I thought the same thing about Bruce in yesterday’s recap. it’s USUALLY a cherry-pick type stat used by those who don’t understand numbers to justify a non-productive players playing time. but it CAN be a real and obvious number. Why do you think the Cavs have a losing record when Lebron doesn’t play? 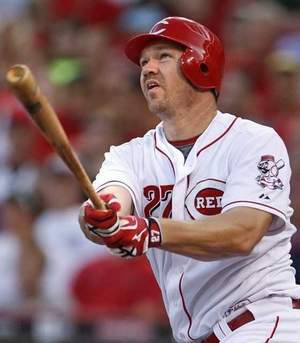 Rolen has been one of the most valuable Reds so far this season. Take away one of your most productive players and the Reds will lose more often. plus…think about the replacement. Cairo??? That’s a huge drop in production. @mike: You put it in perspective pretty well. Rolen’s WAR is .4 player over 14 games. For a 162-game season (obviously never possible w/ Rolen), that’s 4.62. Even with the worst possible replacement (and his primary replacement has been the excellent Janish), Rolen’s production is nowhere near the difference-maker. @Chris Garber: well Janish has only played half the time when Rolen’s been out. Cairo/Francisco have been the other half. According to B-R, only two players have ever been worth more than 10 wins in a season (with the bat) – Bonds and Ruth. I can’t imagine any player has ever had a negative value lower than 3-4 wins. (Bill Hall bottomed out last year at around 15 RUNS below replacement). Thus, Scott Rolen is magic. If I may borrow a phrase from Red Reporter, perhaps Scott Rolen is a witch. Anyone else having issues with the site loading with Firefox? It loads and everything looks fine, but just before it is finished, everything just goes white. When I view the site in IE, things work fine. I haven’t had that issue, but this is the second time ive heard this. Not sure what the issue is but I’m looking into it. Let me know if you have this problem again. I’m hopeful that I just resolved it. Works just fine now Chad! I love the reference to Juan Castro – in the same sentence as Ruth and Williams. Juan is currently batting .333 with 7 RBIs in 39 ABs, leading the Phillies to another NL pennant. And who could ever forget his walk off HR for the Reds on Cinco de Mayo ? One thing with Rolen, of course, is that we don’t have much else in the way of RHed hitting. In the Pirates series, for example, the losses to Duke and Maholm may not have happened with him in the lineup. Hanigan helps somewhat. An analysis of the combined effect of Rolen and Hanigan in the starting lineup would be interesting. The point about Cairo being his replacement is critical. And his replacement in 2009, Rosales, was not hitting. Now if we just had Juan Castro backing him up …. of course, at this point one of Stubbs or Dickerson needs to start getting on base. Imagine a guy who gets on base in front of Votto and a guy who can hit behind Votto? and a slugger behind both of them? one thing I didn’t really realize was that I learned while looking up the games in which Rolen and Hanigan both started was how many games the Reds lost at the end of last season when Tatum or Miller started at catcher. The Reds lost MOST of their games at the end of the season when one of them started.